Loooong overdue post! 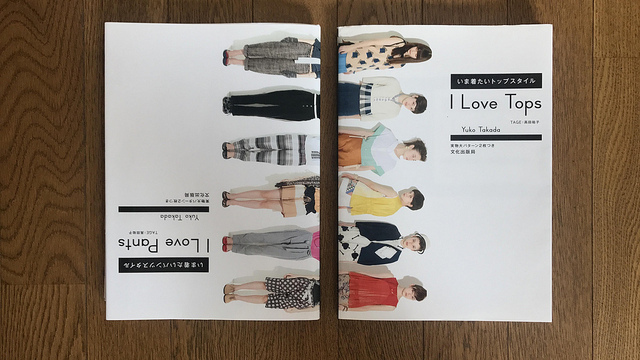 A few months ago I bought a couple of Japanese sewing pattern books called ‘I Love Tops’ and ‘I Love Pants’, both by Yuko Takada. 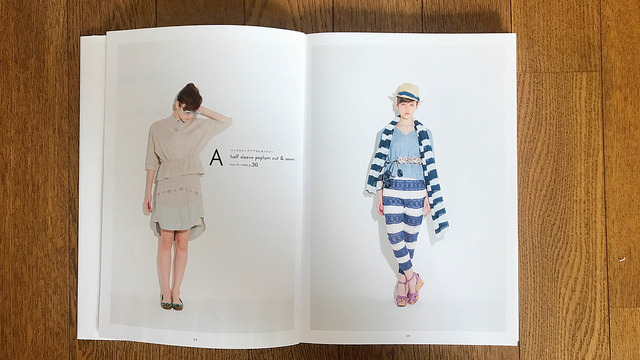 The books feature tops and pants that look pretty casual and comfortable. 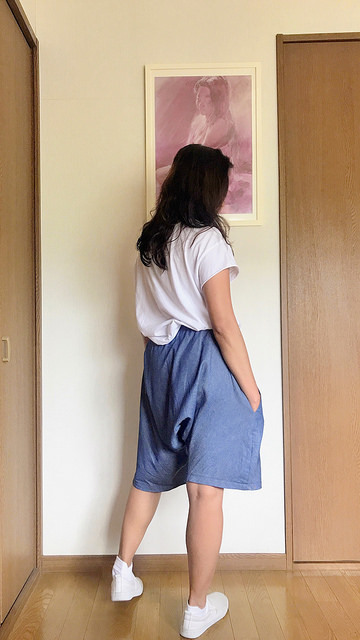 I’ve been very happy with a couple of tops and one pair of pants that I’ve made from them. So it looks like I will continue making other patterns from these books. 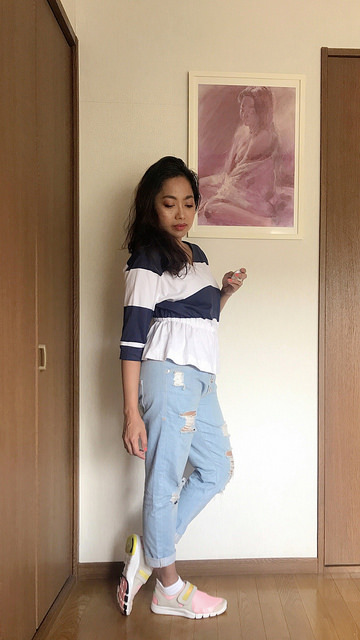 Top A is called ‘Half Sleeve Peplum Cut & Sewn’. 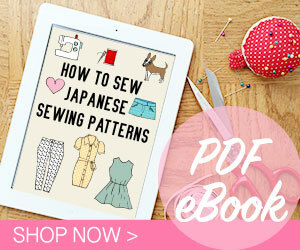 In Japanese patterns, the term ‘cut & sewn’ means that the item is made from knit fabric. I have no idea why that is. 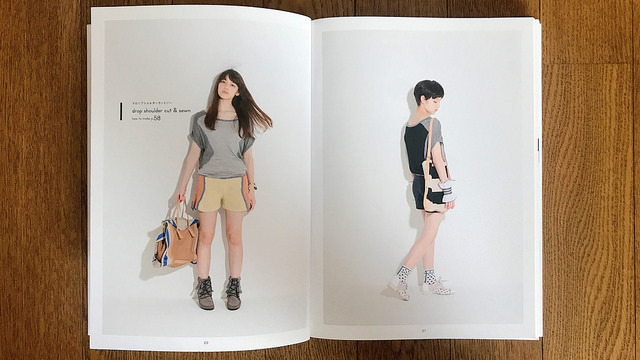 The next one is Top I: ‘Drop Shoulder Cut & Sewn’. This is my favorite! I think the shape is pretty relaxed, the neutral colors makes it very easy to match, and the seamlines keep it quite interesting. 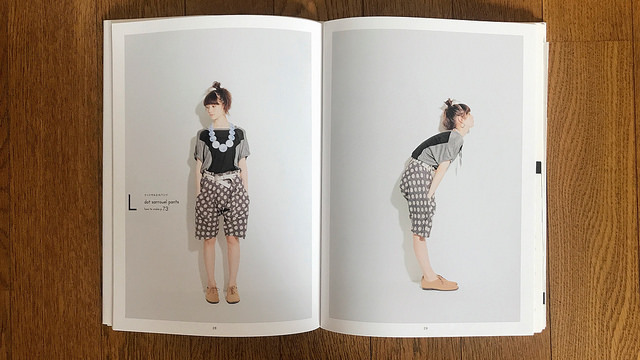 From the I love Pants book I made Pants L: ‘Dot Sarouel Pants’, except that my fabric has no dots as you can see. 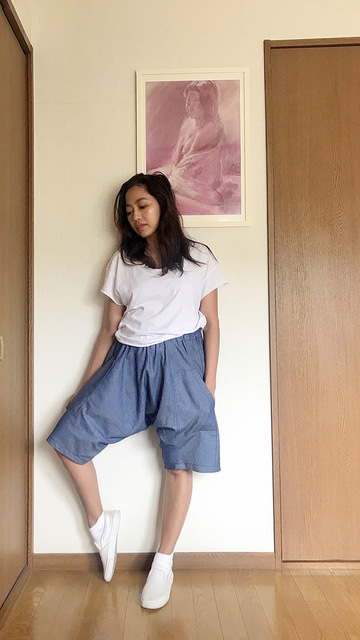 The pattern has very wide waistline and the pants are kept on the waist by using belt. 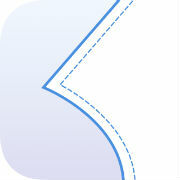 I think it would be somewhat uncomfortable so I inserted wide elastic to the waistline and eliminated the belt loops.